This is us at the top of Mt Warning. (I keep calling it Mt Warner as it is our friends name... 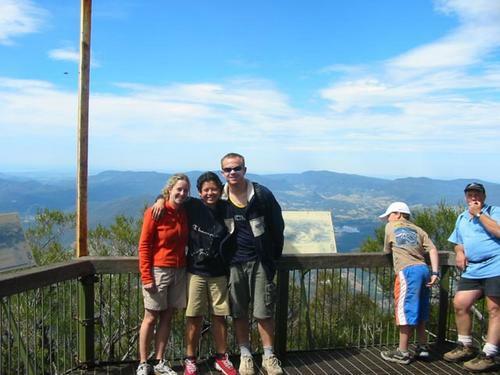 I'm sure she'd enjoy the climb actually.) You can see some of the kids who were (delightfully) on an excursion up there at the same time. Great climb though. Lots of different vegetation and a challenging finish. One guy we past commented on George - "She has got to be part mountain goat." It's a compliment.